I also have seen and gotten a chance to use it for a little bit. It flies compared to other android phones I've tried (haven't tried all of them), and it may, MAY, have a 700mhz cpu instead of the reported 600mhz. In any case, it is definitely my next phone. 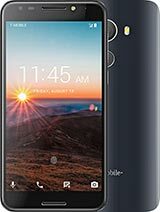 this phone is real and i've seen it. its awesome, fast and slimmer than the original mytouch. better than i thought. Specs aren't completely accurate, this device WILL have a 5 mp camera, it's already been comfirmed. I highly doubt that 2.1 will work 'Flawlessly' on this device. This has very similar specs to the MyTouch3G, which does not run 2.1 very well. This is NOT replacing the sidekick. It will be released in may. Employees get their devices the 26th of April. Why such a low mpx camera is unanswered. 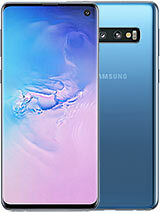 How ever android 2.1 will be flawless on this device unlike the behold 2 that has major issues supporting the firmware. My question is why didnt they put a 5 megapixel camera ?? so much space that could have been used for the screen is wasted...hmmm!! !